Michael Schumacher has left a Swiss hospital to continue his recovery at home, his manager Sabine Kehm has announced. Sabine Kehm said in a statement that he had made “progress”, but there was “a long and difficult road ahead”. 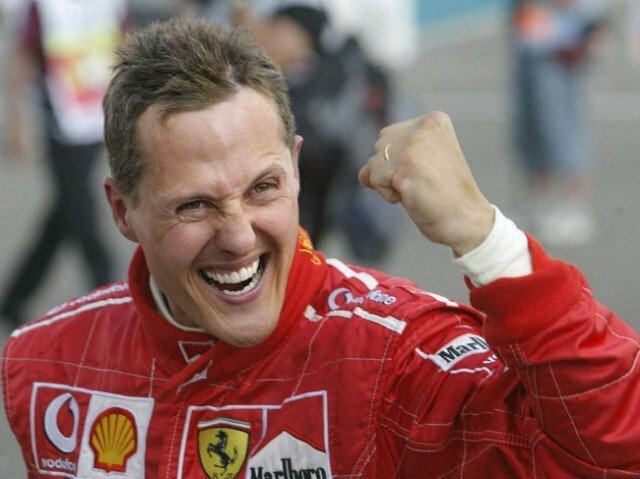 Former F1 champion Michael Schumacher suffered a head injury in a skiing accident in France in December last year and was transferred to the Swiss hospital in June. Michael Schumacher’s family said in June that he had come out of a medically induced coma to reduce swelling in his brain. He spent six months at a hospital in France after his accident, before being transferred to the hospital in Lausanne. His family home is in Gland, which is on the shores of Lake Geneva, some 25 miles from Lausanne. “Henceforth, Michael’s rehabilitation will take place at his home. Considering the severe injuries he suffered, progress has been made in the past weeks and months,” Sabine Kehm said in a statement on September 9. The statement did not give any indication of whether there had been a change in the state of Michael Schumacher’s health. “We ask that the privacy of Michael’s family continue to be respected, and that speculations about his state of health are avoided,” it added. Michael Schumacher’s family and manager also thanked the team at CHUV Lausanne hospital “for their thorough and competent work”. He underwent two operations to remove blood clots from his brain before he was put into a medically induced coma to try to reduce swelling. Investigators probing the accident at the French ski resort of Meribel said Michael Schumacher had been going at the speed of “a very good skier” at the time of his crash. Michael Schumacher had been skiing off-piste when he fell and hit a rock, they said. Last month, a man arrested on suspicion of leaking Michael Schumacher’s medical files was found hanged in his cell. The man, who has not been named, was a manager at Swiss air rescue firm Rega, which was involved in the transfer of Schumacher from Grenoble, France, to Lausanne. Michael Schumacher’s medical records were allegedly stolen and offered for sale to several newspapers.